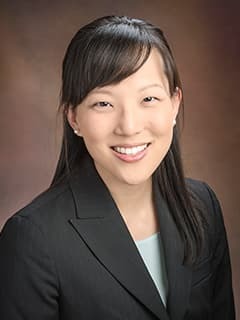 Joan S. Ko, MD, is a clinical fellow with the Division of Urology with Children's Hospital of Philadelphia. Ko JS, Gupta AD, Di Carlo HN, Lue K, Gearhart JP. “Wire in the hole: A case series of eroded intrapubic wire sutures causing genitourinary complications in the bladder exstrophy complex.” Can J Urol. 2016 Oct;23(5):8476-8479. Ko JS, Readal N, Ball MW, Han M, Pierorazio PM. “Call schedule and sleep patterns in urology residents following the 2011 ACGME reforms.” Urol Pract. 2016 Mar;3(2):147-152. Ko JS, Chalfin H, Trock BJ, Feng Z, Humphreys E, Park S, Carter HB, Frick KD, Han M. “Variability in Medicare utilization and payment among urologists.” Urology. 2015; 85(5):1045-1050. Kern AJ, Inouye B, Ko JS, Gorin MA, Allaf ME, Goldstein S, DiCarlo HN, Shah BB, Wang MH. “Impact of nephrectomy on long-term renal function in non-syndromic children treated for unifocal Wilms tumor.” J Pediatr Urol. 2014; 10(4):662-666. Inouye BM, Tourchi A, Di Carlo HN, Young EE, Mhlanga J, Ko JS, Sponseller PD, Gearhart JP. “Safety and efficacy of staged pelvic osteotomies in the modern treatment of cloacal exstrophy.” J Pediatr Urol. 2014; 10(6):1244-1248. Tourchi A, Inouye BM, Di Carlo HN, Young E, Ko J, Gearhart JP. “New advances in the pathophysiologic and radiologic basis of the exstrophy spectrum.” J Pediatr Urol. 2014; 10(2): 212-218. Ko JS, Di Carlo HN, Gupta AD, Ross AE, Eckhauser FE, Bivalacqua TJ. “Adenocarcinoma of the ileal conduit in a patient born with classic bladder exstrophy.” Urology Case Reports. 2013; 1(1): 5-6. Hammett J, Ko JS, Byrd N, Crispen PL, Krupski TL. “Patterns of care for renal surgery: Underutilization of nephron-sparing procedures.” Can Urol Assoc J. 2013; 7(5-6): E286-92. Ko JS, Landis P, Carter HB, Partin AW. “Effect of intra-observer variation in prostate volume measurement on prostate specific antigen density calculations among prostate cancer active surveillance participants.” BJU Int. 2011; 108(11): 1739-42. Stetson DS, Ko JS, Heidmann T, Medzhitov R. “Trex1 prevents cell-intrinsic initiation of autoimmunity.” Cell. 2008; 134(4): 569-71. Ko JS, Lue KM, Yan G, Di Carlo HN, Isaacs WB, Gearhart JP. “Rs9291768 risk allele frequency in patients with bladder exstrophy-epispadias complex.” Selected for Poster Presentation, Society for Pediatric Urology Annual Meeting; San Diego, California; May 2016. Ko JS, Readal N, Ball MW, Han M, Pierorazio PM. “Call schedule and sleep patterns in urology residents following the 2011 ACGME reforms.” Poster Presentation, Johns Hopkins Sleep and Circadian Research Day; Baltimore, Maryland; June 2015. Ko JS, Chalfin H, Trock BJ, Feng Z, Humphreys E, Park S, Carter HB, Frick KD, Han M. “Variability in Medicare utilization and payment among urologists.” Poster Presentation, American Urological Association Annual Meeting; New Orleans, Louisiana; May 2015.